Want to have some light diet? Last week because of sore throat and get cold . i cooked this yummy porridge as my lunch. 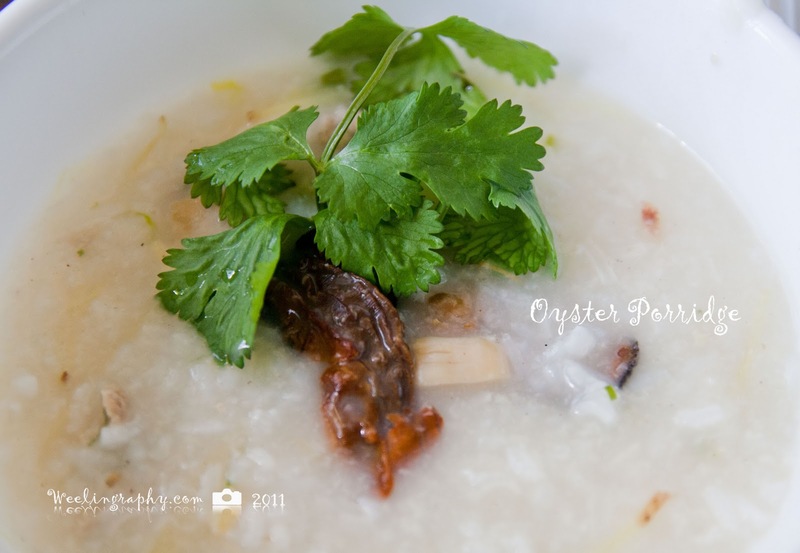 Boil dried oyster and dried scallop ( dried oyster kinda hard if not cooked well enough) longer cooking time is better; to make sure the dried oyster is fully cooked so that one can have succulent taste. Then add more water to the pot with rice and sliced ginger . Cook until the rice is soft and turn into porridge form. Add some salt, pepper, soy sauce or chicken bouillon to enhance it flavor.